There are advantages to having lived at the end of the 16th and the beginning of the 17th century. Specifically, the internet hadn’t been invented, and there were not a multitude of news organizations competing for the tiniest bit of news, making what should be no news into big news. As a result, mystery surrounds William Shakespeare. Unanswered questions involve every aspect of his life and work. Questions such as who was the young man of the sonnets and what was the poet’s relationship with his wife? As for the latter question, in 1582, eighteen-year-old William Shakespeare married Anne Hathaway, a woman eight years his elder and three months pregnant with his child. Did he want to marry her? Church records reveal that prior to the marriage to Anne, William sought a license to marry Annam Whateley. Was Anne Hathaway’s name misspelled in the church records? Did Annam Whateley exist, and was she William’s true love? Did Shakespeare love Anne Hathaway? 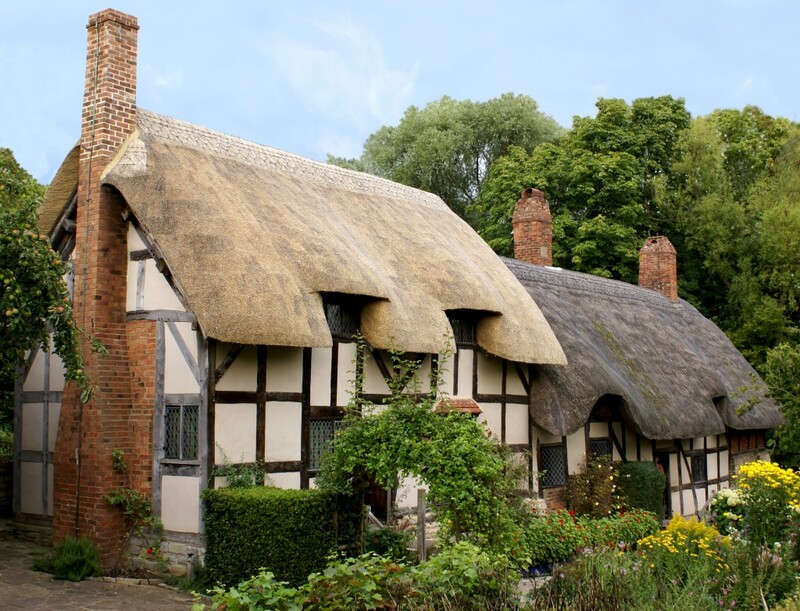 It can be argued that he didn’t love her as he left Anne in Stratford-upon-Avon while he lived and worked in London. Yet, he did return periodically to Stratford-upon-Avon. If he didn’t love his wife, why would he have done that? To see his children, perhaps? And should we not dismiss the fact that he chose to return to Anne and live with her after he retired? Another thing that puzzles historians is that when he died, Shakespeare left his second best bed to Anne. Some say it was a slur. Others say that it was the couple’s marital bed, and, therefore, an important symbol of their unity. It has been argued that inheritance considerations made it necessary that Shakespeare give Anne the second best bed. Finally, does Sonnet 145 have references to Anne Hathaway? Line 13 has hate away in it. In the dialect of the time this would sound like Hathaway and could be construed to refer to Anne. Line 14 begins And saved my life… Could this be interpreted as: Anne saved my life? If so, it’s another positive for those who say he loved Anne. Unfortunately, the above questions cannot be indisputably answered. Argument can be made for or against Shakespeare’s love for his wife. If the poet lived in our time, we might well know the truth. The media and internet would see to that. That is why in the beginning of this blog I indicated that not having these avenues of informational access in Shakespeare’s era was an advantage. It is good that unanswered questions surround Shakespeare’s life. Not only do the questions make him mysterious and interesting, but they provide fodder for scholars.